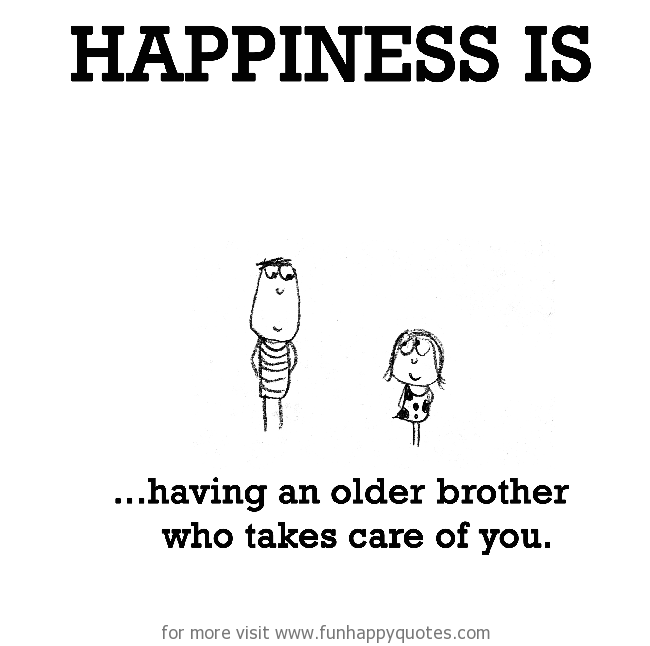 Happiness is, having an older brother who takes care of you. Previous article Happiness is, a jar of chocolate spread, and a spoon. Next article Happiness is, listening to old songs. Happiness is, the smell of early morning coffee. Happiness is, watching clouds change shape. Happiness is, an unexpected glimpse of a full moon. Happiness is, a jar of chocolate spread, and a spoon. Happiness is, listening to old songs.